The Bloody Rose: End Year Games! Forums » EU Events » The Bloody Rose: End Year Games! The Red Rose Arena [rra] are hosting the end of year Arena Games at the back of the Ossan's tavern! The games will take place on Saturday, 30/12/2017, at 19:00PM (Server Time). The final games will look to pit out the Queen or King of the Arena this year, putting the top seeds against one another to find out who is the toughest combatant in Tyria and Elonia. Favourite to win is the top seed Siegfried Eiriksson sponsored by Lillian Swift, who is the former Wintersday Arena champion! Formidable heroes like Gwelynn the flaming guardian and Limu of The Heroes Guild are fast contenders for stealing the crowned prize. Tones more formidable heroes will be entering the fray looking to take away the prize – 100 Gold Pieces. The Red Rose will be providing drinks and snacks for the event; Sponsored by Candles and Embers magical shop and the Red Rose. This event has been set back by 24 hours. To Saturday 30th December at 19:00 Server Time! Event has been post-poned by 24 hours to Saturday 30th December at 19:00 Server Time! Christmas is always a tricky time of year, but hope to see everyone there. Thanks to all those who came to watch the final year games! The end matches was a bloody affair with the theme being crowning a top victor from the Arena for the year 1330 AE. Several characters ended up shedding blood, guts and glory in worthy clashes. Thanks to all the assistants and the crowds for even picking some of the line-up! Congratulations to the shadow thief who sneakily stole the show, Harry sponsored by Kahn! Notable performances all round from our entrants; returning champion Siegfried Eiriksson, flaming guadian Gwelynn, the never-missing Sureshot, our knight in shining armour Alra, and our toasty Moasria - least of all forgetting Brutus who entered despite grievous injuries. 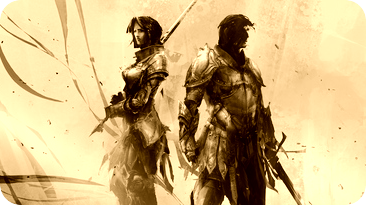 With our successes the Prestige of the best fighters in the Reach has been formed. Until next time! Expect to see bigger monsters, tougher events, and more fighters in the new year!